The end of childhood takes many forms. It’s a little girl being told she can’t go to school because she was born a daughter, not a son. It’s a child never having enough to eat, struggling to make it through the day and being forced to work so his family can make ends meet. It’s the millions of children forced to grow up in war zones, living every day in fear for their lives with no hope for the future. Lost childhoods are a result of choices that exclude particular groups of children by design or neglect. They represent the many faces of exclusion. Why should my childhood end? Poverty, conflict and discrimination against girls are putting more than 1.2 billion children – over half of children worldwide – at risk for an early end to their childhood. In fact, many of these at-risk children live in countries facing two or three of these grave threats at the same time. More than 153 million children are at extreme risk of missing out on childhood because they live in countries characterized by all three threats. It does not have to be this way. 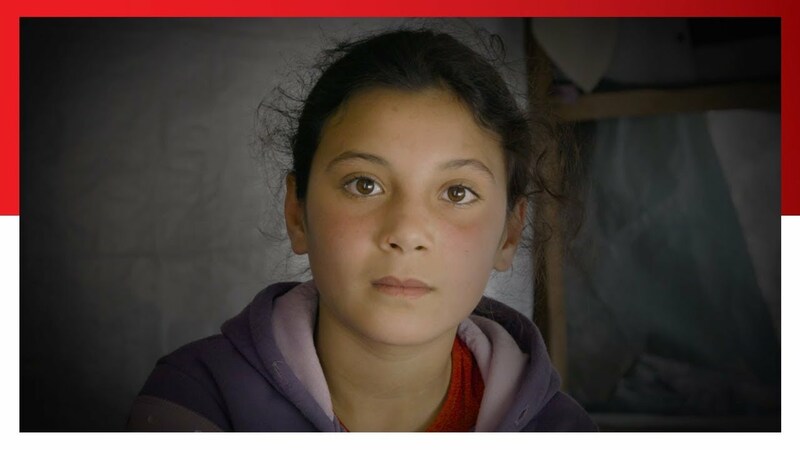 In commemoration of International Children’s Day, Save the Children releases its second annual End of Childhood Index taking a hard look at the events that rob children of their childhoods and prevent them from reaching their full potential. By examining the forces that end childhood around the world, we can advance our work to help every last child reach their full potential and have a chance at the childhood and future they deserve. Download our End of Childhood report in full. Save the Children’s second annual End of Childhood Index compares the latest data for 175 countries and assesses where the most and fewest children are missing out on childhood due to a variety of childhood ‘enders’. Use the map below to explore where children around the world are most at risk for losing their childhood too soon and compare countries to see where childhoods are most and least threatened. Brissa , 15 years old, holds her 3-month-old son in Sinaloa, Mexico. Across Latin America, 1 in 13 girls between 15 and 19 give birth every year. In fact, girls in this region give birth 1.5 times more than the global average. And this isn’t showing signs of improvement. Latin American and the Caribbean is the only region in the world where the number of teenage pregnancies has not declined in recent years. Maha*, a Syrian refugee living in Jordan, was forced to marry her husband when she was 12. She is now one month pregnant. "I didn’t want to get married." She said. "I’m still young and I wanted to finish my studies." You can support the work that Save the Children does for the most vulnerable children around the world by helping to fund the work we do so we can continue to positively impact children’s lives and futures. 1 in 6 children across the world are living in conflict areas. But it doesn’t have to be this way. We have the power to make change happen. Now is the time to end the killing of children who are innocent bystanders of war. Please help us to call on global leaders to protect the world’s children – our children – from the horrors of armed conflict. They must do more by holding perpetrators accountable for war crimes against children, upholding existing laws, and helping rebuild shattered lives. The world has made incredible progress for children - but millions are still being denied the opportunity to survive and learn simply because of who they are and where they live. Save the Children's campaign – Every Last Child – strives to do whatever it takes to reach the world's most excluded children. Without urgent action to tackle this exclusion, progress for children will slow and may even halt altogether. With this campaign we are asking the world to put excluded children first and remove the barriers that exclude millions of children from healthcare, nutrition and education each year. With your help, we can build a world in which no child’s opportunities are determined by who they are or where they were born. Together we can reach every last child. Our Every Last Child campaign will address some of the key causes of exclusion so that we can reach 15 million children and contribute towards progress on the SDGs. Together we can reach every last child.